Sits atop historic NY Hill overlooking the town site of Thurber with sweeping views of Palo Pinto and Erath counties. The restaurant is built on the site of the original Episcopal Church, which later served as Baptist Church. Next door are the Greystone Castle and the WK Gordon Museum, and below the St. Barbara Church, a typical miner's home, the band stand, the caboose that carried the miners to their job site, and two bocci ball courts. The buildings are restored and available for touring. The church is available for weddings and special services. New York Hill Restaurant is decorated with many pictures of Thurber and many artifacts from Thurber's past. 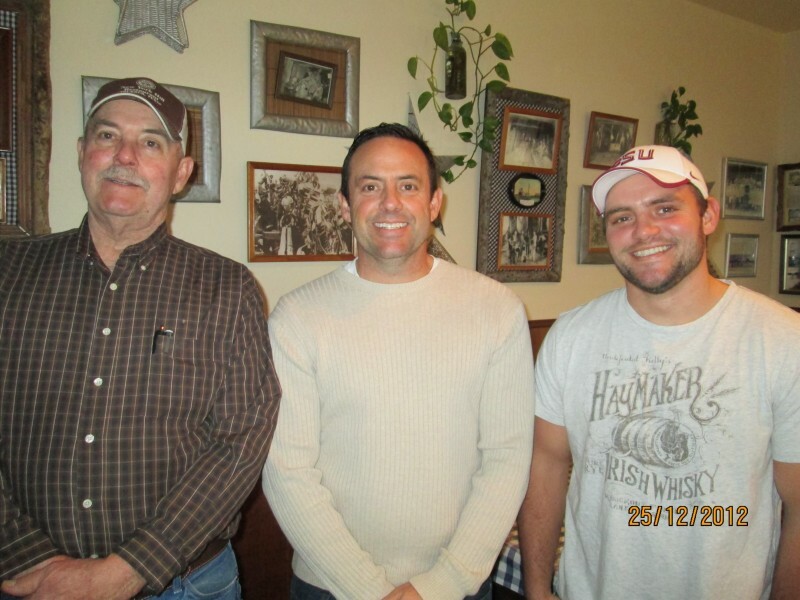 Our family-owned and operated restaurant opened in 1989. We hope you will stop in and share the New York Hill experience! We now have WI-FI! Come browse the Internet while enjoying our food and view. Effective Jan 1, 2013 NYH is fully non-smoking! Copyright 2010 New York Hill Restaurant. All rights reserved.